What’s your vision for the future? Is it bright like the sky or filled with stormy clouds? 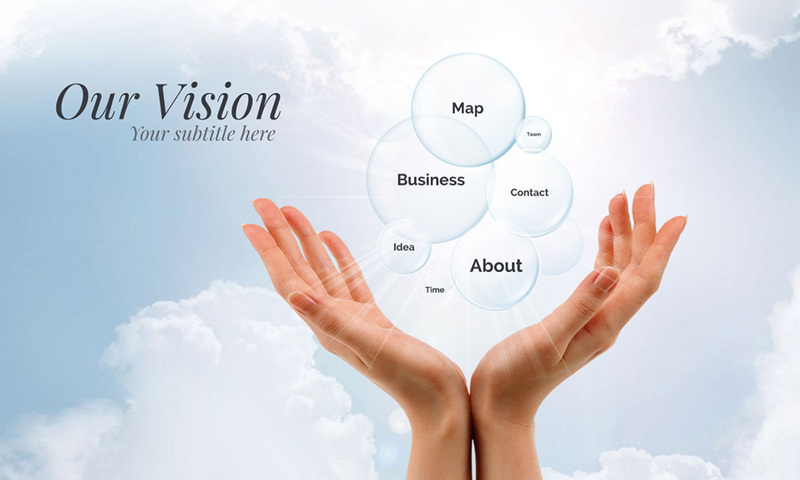 A Prezi Next template for presenting your company ideas and vision for the future. Soap bubbles hovering above female hands over on a bright sky and clouds background. Talk about your company goals and timelines or personal ideas for the future. The sky is bright in this template, meaning there’s a bright future ahead! The template features female hands holding soap bubbles that represent your goals and targets on a sky background. The template also features a large text placeholder the title and subtitle. Zoom into the rising bubbles and replace the demo content with your own slides. Easily duplicate the bubbles to create more placeholders if needed. 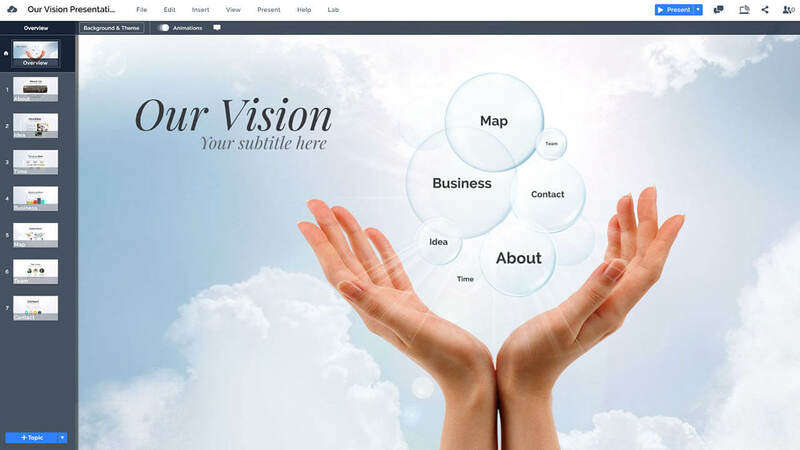 This Prezi Next Presentation Template is most suitable for a small company for presenting about business plans or timelines about deadlines and milestones. The template can also be used in religious and spiritual topics for talking about god, finding yourself or meditation. The bright and blue color scheme used in the template creates a clean and pure environment which is often associated with trust. So don’t fail your viewers! If you promise a bright future in the presentation, don’t let anyone down and make things happen! This entry was posted in Best Prezi presentation templates, Prezi Next Templates and tagged believe, bright, bubbles, company roadmap, company vision presentation template, future, future prezi template, future vision powerpoint presentation template download, future vision powerpoint template download, future vision powerpoint template free, hands, next, powerpoint vision board template, sky, sky clouds, vision, vision mission presentation template, vision powerpoint presentation template, vision powerpoint template, vision powerpoint template free, vision powerpoint template free download, vision powerpoint templates free download, vision presentation template, vision presentation templates.